If you missed out on June 2017 "Disney Vile Villains" Charms, Here is your chance to own them! 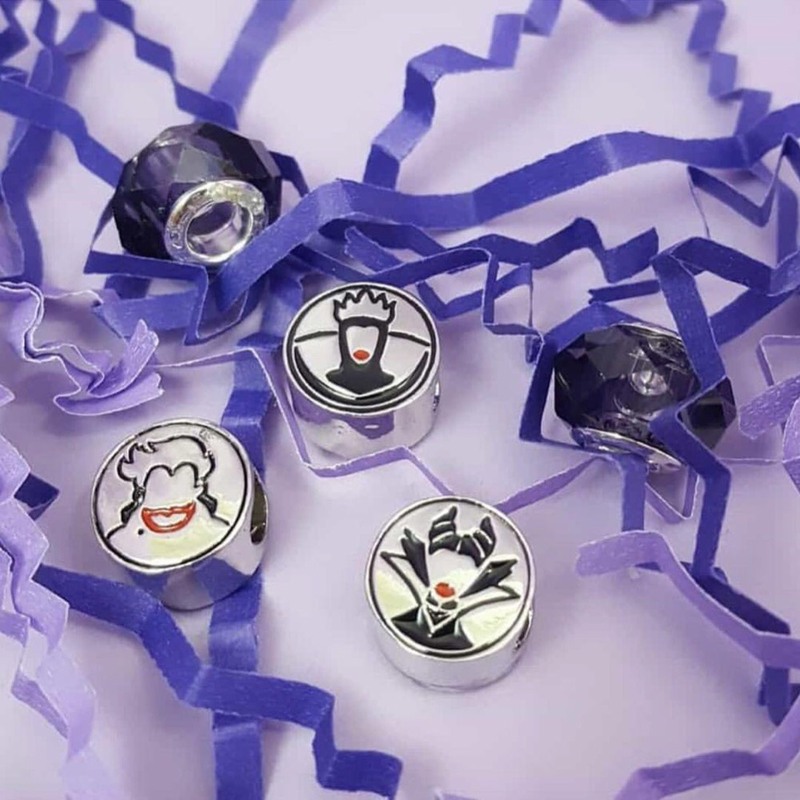 This charm set is a unique two side Maleficent, Ursula, and Evil Queen inspired charm set plus the 2 purple glass beads. (Includes 5 pieces total. No bracelet).